Thus does Sarah-Ann Smith, author of Trang Sen: A Novel of Vietnam, describe Nan Socolow’s writing. 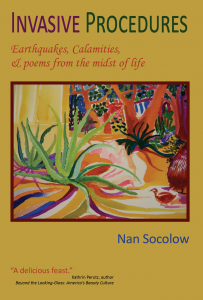 Born in New York City, where she grew up in an apartment overlooking the storied square of Gramercy Park, Nan Socolow first studied poetry at Connecticut College with William Meredith, later the U.S. Poet Laureate and winner of the Pulitzer Prize for Poetry. At Princeton University, where she was the first Administrator of Rockefeller College, she studied advanced poetry with Theodore (“Ted”) Weiss, founder and publisher of Quarterly Review of Literature. In France, at the Sorbonne and Musée d’art Moderne, she studied contemporary French Literature and Art. In addition to serving as Director of Development at Ford’s Theatre in Washington, D.C., in the 1970s, Nan worked in the White House office of Rosalynn Carter helping plan for the events celebrating the 1979 Arab-Israeli Peace Treaty. 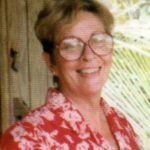 She later worked for the U.S. State Department and United States Information Agency, where, as a Language Services Officer, she accompanied foreign leaders on Fulbright Grants as they traveled throughout the U.S. in their fields of expertise and interest.